WHO IS THIS RANKING SERVICE FOR? Our keyword focused sales Amazon ranking service is for anyone looking to grow their Amazon business through higher organic rankings. 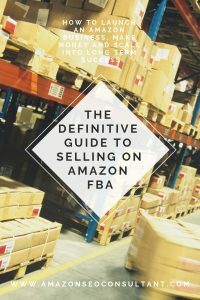 There are only 2 specific requirements; You must have an Amazon seller account, and secondly of course a great product that provides value to the marketplace. If that sounds like you then feel free to watch our explainer video above, which explains the exact process we’ve used to rank products in Amazon and help create millionaires through Amazon’s platform. The key to ranking your products is by generating keyword-focused sales through the Amazon search engine. The Amazon SEO Consultant Ranking Strategy is a fully-automate system that is focused on generating multiple keyword-focused sales for your products, allowing you to outrank competitors without even lifting a finger. The core offerings can be seen below. This involves exploding sales on Amazon in a very short period of time and hence improving organic rankings in the process. 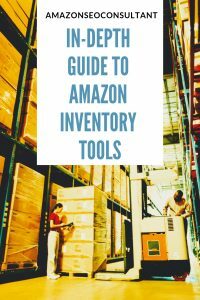 This is a solution that helps products rank organically throughout Amazon. We achieve this by leveraging our keyword focused sales process. The more competitive a specific product or keyword is, the more keyword focused sales (KWFS) that will be needed to rank. Discounted product launches are dying and becoming incredibly expensive, full priced sales are the single largest ranking factor on Amazon in 2019. After well over 400 individual ranking case studies, keyword focused sales are the single largest ranking factor that sellers can use to improve organic rankings in a short period of time. The full brand management & marketing services involve a client coming onboard to our explosive full Amazon brand marketing strategy. The same strategies we use to grow brands of our own & businesses we have equity in (case studies of both can be seen in the blog). These services also expand a brand throughout all digital marketing channels (not just Amazon). We leverage our organic optimisation experience, inbound marketing techniques and Ecommerce marketing strategies to build a long term, highly valuable Ecommerce brand. Amazon SEO Consultant has been designed to focus on generating real sales. We use a process called; keyword focused sales. This was coined by our internal team and has been used to help successfully rank hundreds of products on Amazon.com & Amazon.co.uk. Once the listing has been optimised, we need to solve the second, most difficult part of Amazon’s ranking algorithm, this is generating real sales related back to your primary keywords. These act as massive trust signals to Amazon that your product should be ranking for that specific group of keywords. The more this occurs, the higher you’ll rank for those specific keywords. The listing optimisation stage consists of 6 key elements that start the Amazon ranking process. All incredibly important to ensure our product is ready to move onto stage 2. Optimise your product listing before ordering your Keyword-Focused Sales to make the most of your order. 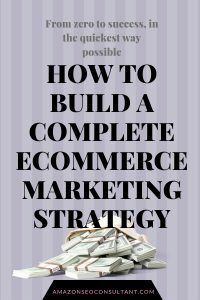 The better this stage is done, the faster and more efficiently you will rank in Amazon. Visit our on-page optimisation or Amazon SEO guide for more information on this. Input the most profitable keywords you want to rank for, remember to base your keyword selection on a few different criteria, such as volume of KWFS purchased, competition & inventory. Then use our one-of-a-kind process to generate you Keyword-Focused Sales and rank your listing! 3) WATCH YOUR PROFIT GROW. Once you order your Keyword-Focused Sales, all you need to do is track your organic rankings and ensure you do not run out of inventory. We also recommend running paid advertising campaigns & other marketing at the same time to drive sales velocity even higher. The real exponential growth comes from exploding sales on Amazon in a very short period of time. This is something we’ve been tested for close to 3 years day in, day out. The issue most people have is they do not know how to do this. This is where the data on our Amazon SEO Consultant site comes in. We use our unique system to generate you Keyword-Focused Sales in a short period of time to rank your product as efficiently as possible. Our team has 3 years experience doing exactly this, so when you merge this with the Amazon platform you build a very powerful Amazon marketing campaign. Our sole goal is to provide reliable amazon seo services to help clients build organic rankings and generate sales through Amazon’s search engine). Amazon SEO Consultant is a subsidiary of HQ SEO, an SEO Company based in Cardiff UK working with multiple clients globally. This is where most sellers struggle. You have a great product, and you know it would sell if you ranked high enough but you just can’t seem to rank in the first place and so the cycle continues. This is why the products on Amazon although they might not be the highest quality, will continue to sell incredibly large amounts, making entry to the market that much more difficult. This is the entire reason why we built this platform, using the strategies outlined on our process page, we help brands generate these initial real sales and more importantly an extraordinary increase in organic rankings. "I found Tom when I was looking for an Amazon consultant in the US. Since then he’s saved me hundreds of hours of headaches and thousands if not tens of thousands in potentially lost sales through poor optimisation"
Many people have grand ideas for eCommerce, but fail on the execution. Amazon is ruling the eCommerce roost and only showing signs of growing.